BELGRADE, SERBIA. 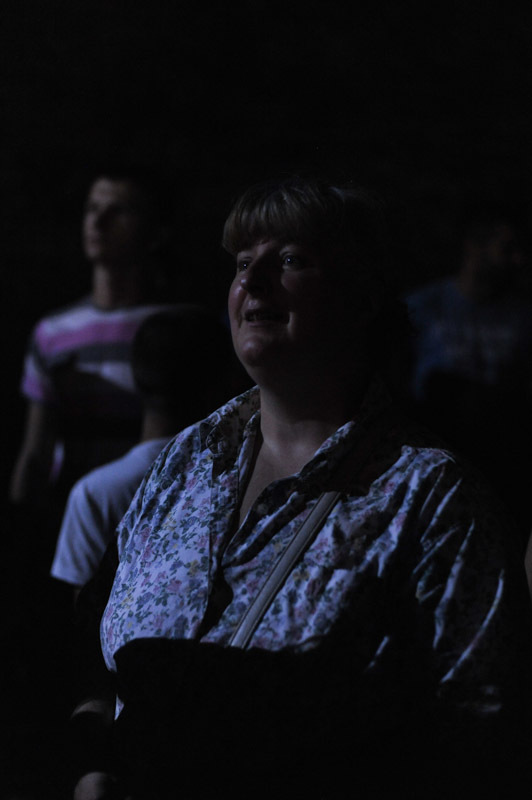 A woman and a young man in the audience react to watching Aca Lukas performs at Mali Kalemegdan, the smaller section of the old fortress on July 11, 2015. Lukas, who often appears on stage with Ceca, the "mother of Serbia" and the biggest turbofolk star, was one of the first turbofolk stars to admit to using cocaine.